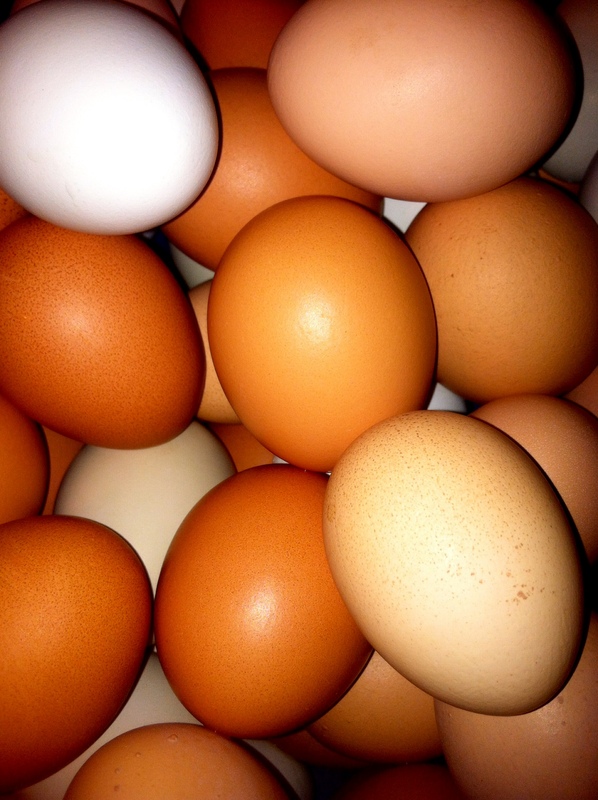 We offer eggs for sale from our flock of free range hens. Unlike many “free range” eggs – our flock of hens are truly free range- they enjoy the grass in our pastures, enjoy the shade of our Ponderosa forest, scratch in our barnyard and peck at the the clover growing in our vineyard. We grow extra vegetables in our garden just for them! You can definitely tell a difference in the flavor of our eggs- and in the brilliant golden color of their yolks. You cannot purchase store-bought eggs like this. Happy chickens = the best tasting eggs! Our eggs are $2.50 dozen, picked up at the farm.